Join us as we revisit a great holiday-themed post. Happy Holidays!! Frazzled this Christmas but still need to bake some cookies? 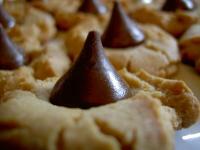 Well, for those last minute folks like me, here is one of the simplest cookie recipes on the planet. The cookies look impressive, taste delicious, and can help round out your holiday festivities without taking too much time out of your super-busy schedule. From the pregnancy glow to the new baby's giggles and smiles, welcoming a little bundle of joy into your family is often a heart warming, happy experience. But despite those adorable tiny toes and cute little coos that invade your home, there can be one thorn in your side: extra post-pregnancy weight. If you have put on a little jelly in your belly, have no fear. Banishing the bulge is possible. Follow along for some tips and tricks from a newly slender mom. When I was growing up, I had no idea that my family was poor. Extremely poor. Scrape-together-enough-money-for-necessities poor. We lived in a nice enough house. We always had food to eat. And we never felt deprived of fun toys. You all know the story about how my mother made ends meet and got out of poverty, but I haven't talked a lot about how my magical childhood filled with toys was possible. If you have a new baby in the house, sleep very soon becomes a luxury. No matter how well your baby snoozes, your own often-interrupted sleep can begin to take a toll. Add in the fact that many babies have trouble sleeping or napping, and you have a recipe for two very tired parents. Thankfully, catching some zzz's is possible before year 18 rolls around. Let's take a look at some tried and true sleep training ideas from the trenches of motherhood. With the holidays unofficially beginning this week, it might be tempting to get caught up in the buzz. To hyper-schedule our lives. To purchase every single item on our list and check it twice. Possibly to brave the throngs of crazed-eye shoppers on Black Friday, all in search of the perfect shirt or toy at an unbeatable price. But before we submit to the holiday frenzy, it just might be time to slow down and give thanks. It used to be that a college degree could take you places. 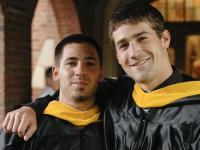 College graduates were almost guaranteed a job that paid well enough to live on upon graduation. But nowadays, that no longer seems to be the case. Graduates are fighting with the unemployed and underemployed of the older generations for jobs – any jobs – even if it's not in their area of study. Does that mean that college is no longer worth the cash? Well, at the danger of over-using a favorite MomVesting phrase, let's go ahead and say it: It depends. If you're the parent of an infant or if you are expecting, finding cheap diapers is probably on the top of your must-save-cash-somehow list. Fortunately, diapers don't have to break the bank. Unfortunately, finding these little pockets of absorbency on the cheap isn't always easy. But if you follow a few basic save-cash-on-diapers rules, you can walk away with a little savings in your pocket. Here's what I found through trial and error with my first daughter. Join our guest blogger Mitchell Pauly of SnarkFinance.com for a serious topic with some funny twists: "Meet the Shoulda Woulda Coulda's."